The Richeson Double-Sided Lyptus Easel is a simple, space-saving easel that accommodates two paintings — great for classrooms or for individual artists working on multiple canvases at once. It can be used as a working easel or a display easel. This easel is crafted of Lyptus wood, a premium, eco-friendly hardwood grown on well-managed plantations in South America. Harder than oak and able to withstand the wear and tear of everyday use, it is in excellent choice for environmentally conscious artists. 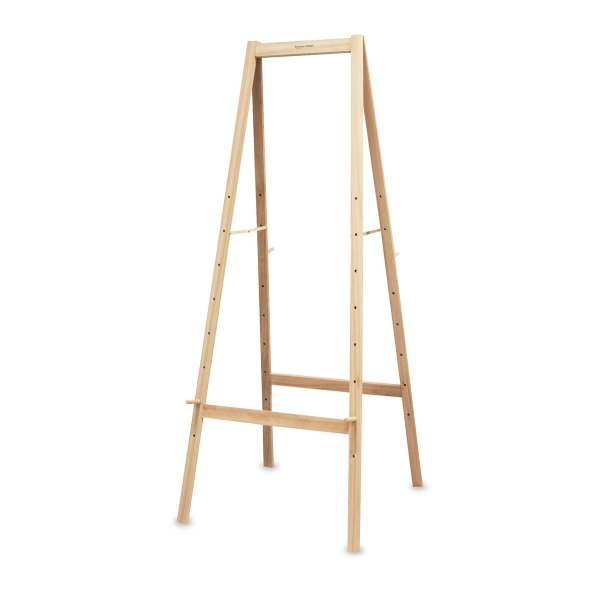 The Richeson Double-Sided Lyptus Easel measures 69"H × 24"W × 29½"D when open, and folds for easy storage. Adjustable pegs accommodate a variety of canvas or panel sizes. Replacement pegs are sold separately.